David’s Reno Blog 3 – We’re In! This entry was posted in Fireplaces, Promotions on March 20, 2018 by The Original Flame Author. After a great deal of work and organization, we’re in! We’ve moved in, gotten settled and are excited to share a photo of the project as it came together. A note regarding TV’s above fireplaces – they’re a bit of a pain. I’m in the fireplace industry and my grand plans to mount my TV above my fireplace didn’t work out, so a piece of free design advice; maybe put your TV somewhere else. Pay clear instructions to the manual – embarrassing fact. It was my carpenter who realized that we needed a 4” tile edging at the top of the fireplace – this is the kind of thing that can throw your design (and budget!) into a bit of a tailspin. But as much as these surprises are a mild annoyance, it’s far better than having a problem down the road. Try to keep things as simple as possible – if you can avoid making the fireplace installation more complicated than it needs to be (i.e. my TV above the fireplace), it’s a huge win. Try to get creative – we’re blown away by how pleased we are with the Versi-Heat kits for our Mendota fireplace (you can check out my previous blogs to read all about it). The ability to take some heat off of the fireplace and duct it to our basement is just so nice, and it’s a popular option for many fireplaces makes and models. A fireplace is an involved renovation to do, and there are so many options to decide on – and things to know about. 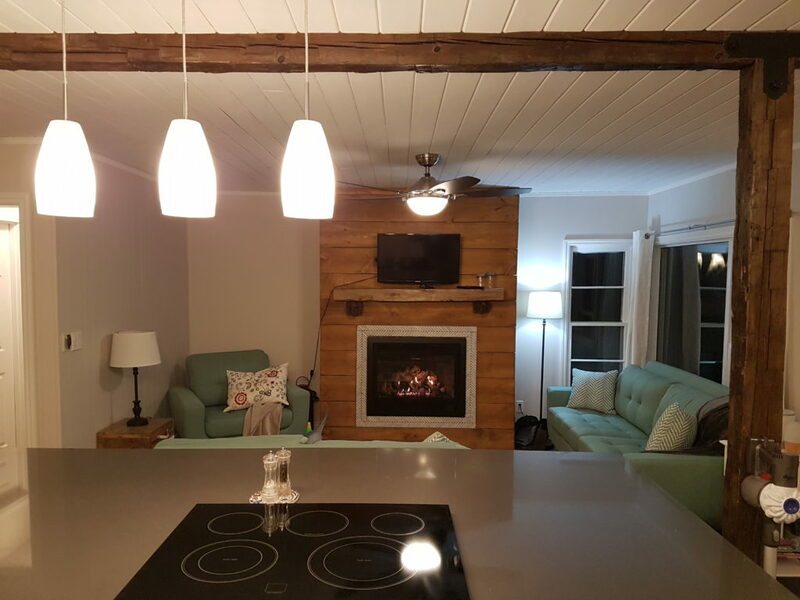 We’d love to help you with anything from cash and carrying a fireplace for your own technician to install to a full turnkey fireplace renovation with our technicians, the carpenters, and masons that we work with and our designer. Stop by and chat all about it with us!